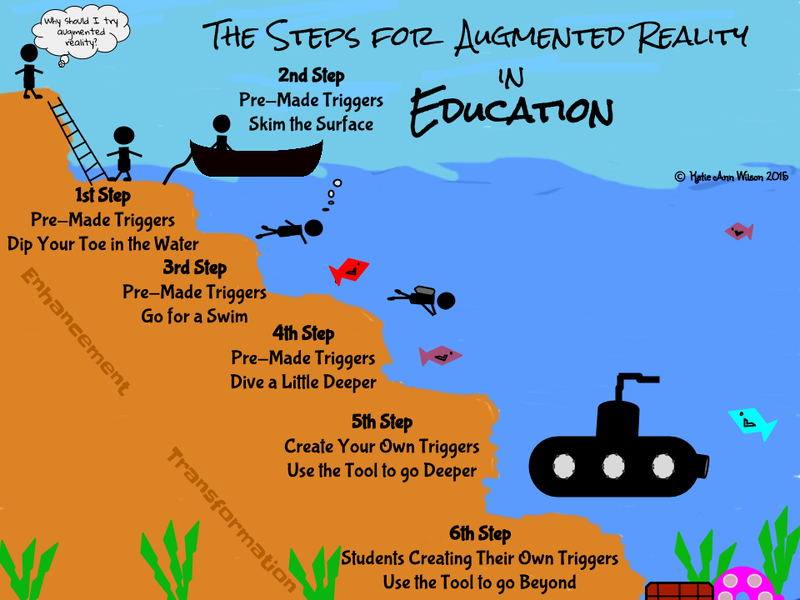 I've been asked to help others in dipping their toes so to speak into the water and start exploring the possibilities of augmented reality (a.k.a. AR) in education. To help build the support line in learning how to incorporate augmented reality in education I am developing a series of challenges. My goal is to launch each new challenge via my podcast as well as develop an ebook to support the learning process. As each challenge is completed the participants will also be able to earn a badge. We will start with using pre-made triggers and work our way through the challenges until you and your students are creating one of a kind augmented experiences. For the 1st challenge we will be dipping our toes into the AR pool and you will need makers, crayons, or colored pencils. Once you have your supplies I want you to take a look at the following picture to the right. Where do you think this character lives? What kind of job does this character have? Where do you think this character is going? Now click on the file below and print it out. What types of characteristics does your character have? What kind of day is your character having? Is your character going on a journey? Late for work or school? What does your character like to do for fun? After you are done coloring your picture it is time to write your character's story. In your story describe where your character is and what your character is doing. Tell us what is your character like? Where your character might be going? Take a picture of your colored image and added it to your story. I suggest using Google Docs to write your story. 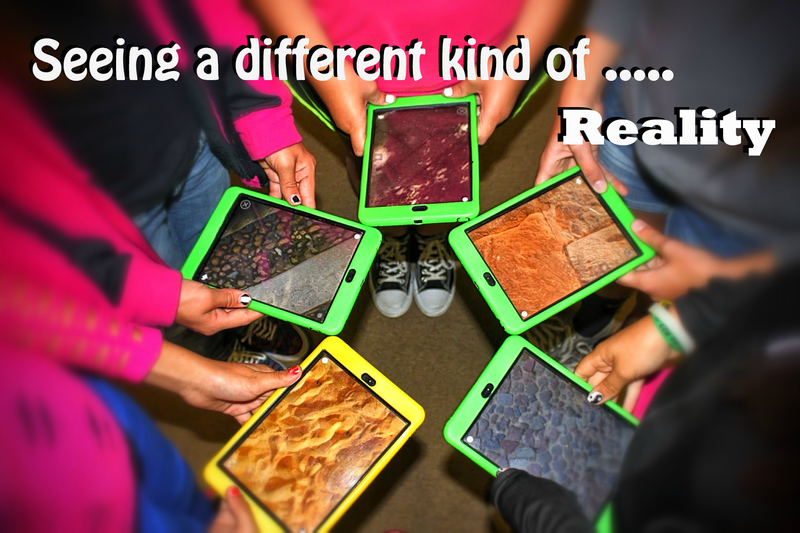 Share your story via social medial using the hashtage #TechieEdu and #AR4Learning. Augmented reality is a tool that can be used to enhance the learning experience. 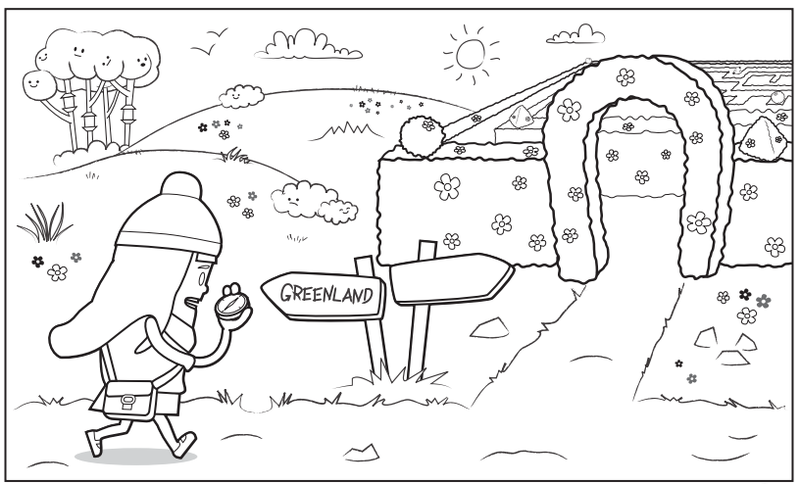 Using this simple augmented coloring page will help take the writing process to the next level and add a spin to your story. The app you will need to download is Chromville. Chromville is an augmented reality company from Greenland that is bringing characters to life. Once you have the app downloaded you will scan the picture you have colored. When the red rectangle turns green you will get a message not to move. Your augmented experience will then appear. The augmented trigger I gave you is a labyrinth. You can interact with your character you colored and move your character through the labyrinth. Now that your character has made it through the labyrinth it is time to revise your story. For your revision you will need to add obstacles your character needs to over come. After you have revised your story it is time to share it. Share your story using social media use the hashtag #TechieEdu and #AR4Learning. Coloring pages from augmented reality companies can add a new depth to the learning process. They can be used to brainstorm settings, characters, events, obstacles, and etc... They can also be used to help develop the writing process as well as rewriting skills. I like to reveal the app that is needed after students have their rough draft completed and have colored the AR trigger. Mix up the different AR coloring trigger pages, this keep the kids guess which app to they need to use. Do you want to bring the world to your students? Engage them beyond a worksheet or a textbook. Using augmented triggers allows you to do just that. I don't know about you but I would love to explore the solar system not just read about it. Why not hold the world in your hands and spin it around, look at it from all sides. A 2 dimensional image just doesn't give you all of the aspects like a interactive 3 dimensional object. Learning about the Great Wall of China and want to get a feeling what it is like to stand on the wall and look around? What about going deep into the ocean and take a look at a reef or soar high above the clouds? Using 360° augmented triggers can transform your classroom into those environments and allow students to experience the environment not just read about them. 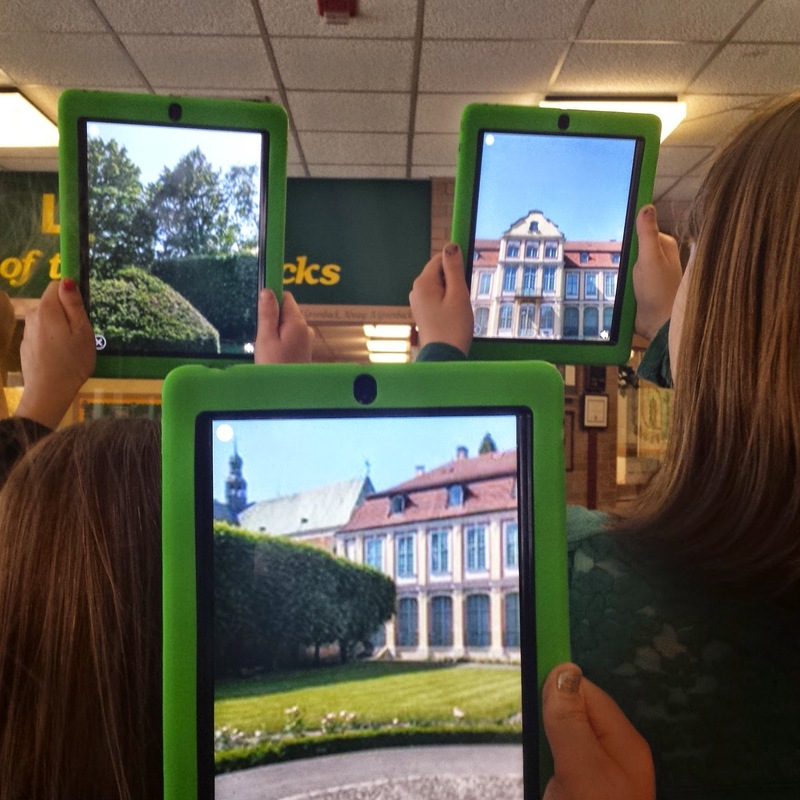 Augmented reality brings learning to life. It opens doors that in the past didn't even exists. Students experience far away places, travel back in time, or even through space without leaving the classroom thanks to augmented triggers. Students can even interact with 3 dimensional objects such as the Great Pyramid of Giza or the Leaning Tower of Pisa. You can even see inside a heart, brain, or even a motor of a race car. One of my goals is to make learning truly interactive, engaging, as well as exciting for kids. When kids are small they learned best by exploring and discovering. I want to give back that excitement of discovery by making truly interactive notebooks with augmented triggers. I've started with 7th grade math, and I plan on creating 3rd grade - 8th grade interactive math notebooks. Along with science and even STEM/STEAM interactive notebooks with augmented triggers. 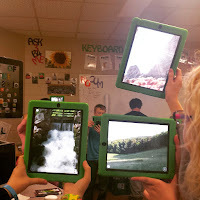 I have created a Google+ Community dedicated to Augmented Reality for Education. Feel free to join the group and share it with other educators. My goal is to connect educators with the developers and creators so that we can all learn and share with each other. The community is a place you can go to get help, bounce some ideas off, and to connect with others. My ultimate goal is to become the go to person in creating augmented reality experiences for education. When you think of Augmented Reality for Education I want you to think of me. I also want you to feel that you can reach out and connect with me. I would love to help you in learning more about augmented reality and how you can use it in your classroom as well create your own augmented experiences. Augmented reality in a STEM curriculum will transform how students learn. STEM stands for science, technology, engineering, and mathematics. The approach of STEM is to teach these disciplines as a whole to be applied in real life applications instead as separate entities. When you add augmented reality or better known as AR into the mix as a tool you literally open your classroom to endless possibilities. Augmented reality in education is on the forefront of transforming how we teach and learn. AR can transport you into environments from around the world, bring 3 dimensional objects to life, and best of all AR will transform how you see and interact with the world. To make AR work you need a trigger, or trigger image. The augmented reality app looks for defined lines and contrast, kind of like a QR code. When the design has been recognized by the app it triggers the augmented experience, thus calling it an AR trigger. Corporate business have seen the power of using augmented triggers in their marketing campaigns. According to Digi-Capital the impact of augmented reality is on the forefront and has forecasts that by 2020 augmented reality will be a $120 billion industry. An example of augmented reality being used could be a lumber yard or a truss company using an app called Sapphire Viewer by MiTek that allows you to interact with a virtual 3 dimensional building. You scan the blueprint of the building and can literally measure the support beams, inner walls, and even see all the way down to the studs. What a powerful tool for teaching math, design, and architecture. IKEA has an app that provides augmented reality to give a virtual preview for a room design. Using this app can help with teaching math concepts such as dimensions and perimeter, as well as design and economics. Companies see the endless possibilities, and the powerfully impact augmented reality can have in education which is why in the next four years we will see a huge growth in incorporating AR into the classroom. Companies have started making mind blowing triggers, so when scanned with their app you receive a superimposed computer generated experience or a virtual world. The only problem I can see is that they have not yet successfully implemented a curriculum. It feels like they have gotten the cart before the horse. They have the tools but are lacking the educational content. Augmented reality is a powerful learning tool that we need to start using in our classrooms especially in our STEM and STEAM classrooms. The CEO Adam Newman of Aug That has seen the impact augmented reality has in education and has developed not only a platform for augmented reality but a community for educators called Teach Connect. With Aug That you have access to pre-made animated lessons to reinforce concepts being taught in the classroom, as well as to 3 dimensional objects, and powerful 360° environments. 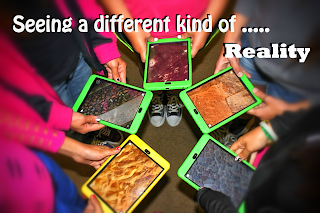 Students can literally hold the world in their hands or design their own worlds. With Teach Connect teachers and students can share their augmented lessons, 3D objects and 360° environments. You do not need to be a computer guru to have personal augmented lessons. You just send your trigger image and content to the Teach Connect people of Aug That and they will put it all together for you. As this company grows so will their educational content and curriculum as well as their Teach Connect community. An example of a STEM / STEAM lesson that involves augmented reality could be an animal adaptation project. Teachers set the stage for this project by having students scan a 360° environment which will immerse them into the environment, then the students research the animals that could possibly live in that environment. Students will then analyze the ways animals adapt to their habitats in order to survive, catch food more effectively, care for their offspring, and keep safe from their predators. Once the research is completed students will design their own animal using 3D software such as Tinkercad. They then could build a diorama to scale of the habitat including augmented triggers. One of the triggers could be a 360° environment of the habitat and of the animal that the student based their creations from. While another trigger would be the 3D model of the animal the student created. Yet another trigger could be an interactive presentation or even a video of the student explaining the animal, the habitat and the adaptations the animal had to go through in order to survive in this habitat. When the creation of the Animal Adaptation project is completed you then could have students interacting and comparing the different environments and animals. How long it would take to make these adaptations? What needs to happen to the animal in order to make these adaptations? All of this started with beginning emerged in an 360° augmented reality environment. I foresee augmented reality being a tool used in classrooms such as paper, pencil, a ruler, or even an iPad. Over 25 years ago the so called educational experts said computer technology was just a fad, now look at how far we have come. The first computers were the size of gymnasiums and were only found at universities. Now our cell phones have more memory and processing speed than the experts could even imagine 25 years ago. We are teaching, training, and preparing our students for jobs that haven’t been invented yet, so why not use the tools they will be using to prepare them for their future? We need to teach science, technology, engineering, mathematics, art, and reading as a whole not separate entities, while using tools such as augmented reality to give our students a meaningful learning experience. There is no limit to a child’s imagination, so lets give them wings, foster their growth as they zoom into the future with the help of augmented reality. Twenty years ago on April 19th at 9:03 a.m. the nation we knew was altered forever. I was 19 at that time and was attending college while working in a photo studio. When I heard the news I was devastated. It really hit home since I grew up and was currently living in the community where some of the materials for the bomb were purchased. Recently I had the honor of visiting the memorial that is located where the bomb had went off that devastated our nation and brought us together at the same time. 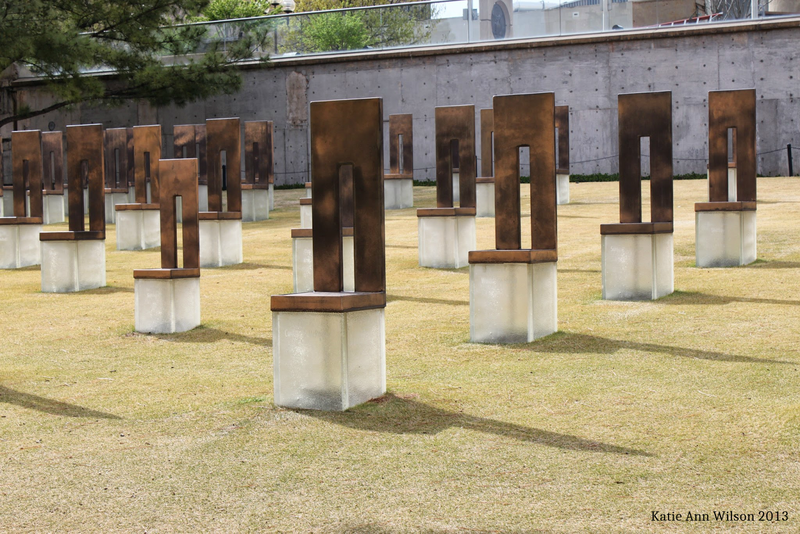 When you stand in the presence of the chairs that represent the lives lost your heart just stops. Especially when you are near the smaller ones. A teacher friend of mine was teaching her class about the memorial in Oklahoma City and asked me if there was any way I can do a little magic and create an augmented experience for the memorial. I found a video created from a drone that gives you a different prospective of the memorial along with a little history. I paired the video up with one of the pictures I had taken while I was visiting the memorial and the teacher added it to her bulletin board. When the kids scan the image the video will overlay the printed image and play. You can find the image in the teacher community (Teach Connect) of Aug That. My next goal will be to visit the memorial again and create a 360° environment of it.